LAFAYETTE — The mother of Javon Rakestrau has filed a federal lawsuit alleging that the 28-year-old suffered a fatal asthma attack in October 2010 after a Lafayette Parish Sheriff’s deputy shocked him with a taser. A forensic pathologist ruled in February that Rakestrau died from complications of bronchial asthma following an altercation with the taser. The pathologist’s report stated that Rakestrau’s death was accidental. 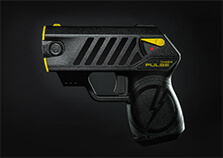 Stress resulting from the altercation with police and the use of a Taser device were contributing factors in Rakestrau’s death, according to the report. The wrongful death complaint was filed on behalf of Deborah Rakestrau. It names Sheriff Michael W. Neustrom and Deputy Chris Guidry as defendants. The suit said Guidry stopped Rakestrau as he was walking along the side of Marigny Circle in Lafayette on Oct. 4, 2010. Rakestrau protested the stop and continued walking away until a scuffle ensued between him and Guidry, the suits says. “Deputy Guidry then began to tase Javon Rakestrau, but Mr. Rakestrau did not respond,” the suit says. Guidry continued to administer electric shocks until he realized that Rakestrau was nonresponsive, the suit says. “As a result of being repeatedly tased, Javon Rakestrau suffered a fatal asthma attack, filling his lungs with foam and blood, and was pronounced dead,” the suit says. The lawsuit alleges that the force Guidry used was excessive under the circumstances and a violation of Rakestrau’s civil rights. The Lafayette Parish Sheriff’s Office declined to comment, citing the fact that it involved pending litigation. The Sheriff’s Office previously said Guidry stopped Rakestrau because an undercover narcotics agent witnessed someone fitting Rakestrau’s description involved in a hand-to-hand drug sale in the area. Deputies recovered 4.4 ounces of marijuana on Rakestrau, the Sheriff’s Office has said. The Sheriff’s Office has said the incident would not have escalated to the point that it did had Rakestrau not resisted arrest. Damages sought in the wrongful death lawsuit include: pain and suffering, grief, funeral expenses, attorney fees and punitive damages against Guidry. The suit was filed by Lafayette police misconduct attorney L. Clayton Burgess.